There is nothing as good as being successful at securing a home loan, but on the contrary, there’s also nothing worse than irrational attempts that make the loan more expensive. Everyone who wants to secure a home loan looks for interest rates that could benefit them in the long run. However, securing cheap interest rates is not conventional for every one today. 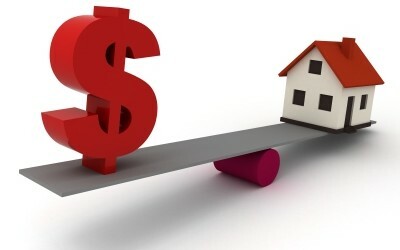 A home loan is of one the most expensive and long lasting financial investments one makes. Several wrongdoings can jeopardize the process and cost you in terms of high interest rates and closing fees, etc. In this article, we will tell you 5 things that could make your home loan more expensive. If you intend to refinance or purchase a new home in the future, you must never make other costly or luxury purchases including car, electronics, and home furnishing items. Don’t do this either on cash or credit card as both will immensely affect your future cash flow. Doing so can lower the credit score which will give you higher interest rates on the loan. 2. Do Not Pay Off Your Outstanding Debt At Once! Never pay off your debt hastily that will mature on a later date. Only pay the bills that are due and will affect your credit score. Impulsively and abruptly paying off your bills will not affect your credit score adversely, but can certainly increase cash outflows. In fact, you will end up getting a costly mortgage with restricted options, rather than a better one. This is of utmost importance since there is a chance that you might have thought of securing only ARM or fixed rate mortgages with lower payments. In fact, this type of loan could be the best one for you; however, you must be able to assess your financial objectives for the next five years or maybe ten years in order to sail safely. Discuss these matters with a financial planner and identify both, your short and long-term goals. You should bear this in mind that hiding facts will lead you nowhere with the lending institution. Since they will get to know your financial portfolio before they sanction your loan, it is better not to hide anything from them. This means that if you have not paid off your debt yet, or you have court judgments pending, it is better to include this information as asked on your application form. Just as you were advised to not make any costly purchases prior to applying for a loan, make sure that you do not apply for a credit card as well during this period. Doing so during this period can lower your credit score greatly. Also, while you are applying for the loan, cancel out the cards that you are not using because it adversely affects credit score. Allan enjoys blogging about finance and especially how to save money on financial products. Allan's favourite topics include credit cards, loan refinancing and savings.